FREE AND FAST QUOTATION SERVICE. Here, we outline some useful rental decorating tips whether you’re are a first timer starting out or an experienced landlord at the end of a tenancy. 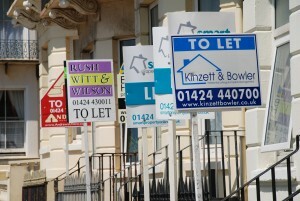 Savvy buy to let landlords and agents want more bang for their buck, but so do your tenants. The rental market is booming due to house prices uncontrollably soaring throughout the country. This translates into more and more properties are available to rent. The key to success is how to make a rental property more attractive on a budget. With more choice, there are more potential renters available but also higher expectations. So what can you do with your end of tenancy property to give it the ‘wow factor’ and lure in those potential tenants but at the same time working with the smallest of budgets? Decorating a rental house on a budget. When decorating a rental house on a budget, you don’t need high-end fixtures and fittings and flashy paint finishes, and we do not recommend it. A rental property will experience much more wear and damage than a private home. 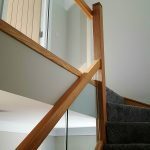 However, on the other end of the spectrum, you do not want to go for the cheapest option which will isolate a high-quality tenant likely to require the best possible finish. 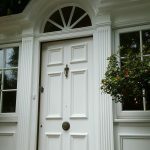 We always advise landlords and agents to go for the most practical and durable paints and materials within their budget when tackling the end of tenancy decorating or first buy to let property. 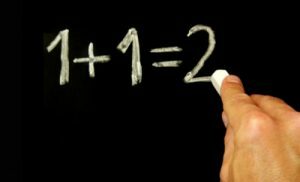 Do not fall into the trap of cheap ‘two for one paint’ offers or ‘one coat paints’ at your local DIY store. These paints are usually manufactured by well-known household brands but are low quality, offer poor coverage (creating more work for you) and do not last the test of time during a tenancy. You are ultimately seeking a healthy balance between aesthetics and durability. We strongly recommend you use a well-known premium trade quality paint. Although marginally more expensive, trade quality paints are easier to apply, offer much better opacity and are far more durable. You will find this is the best solution for both tenant and landlord, even if it stretches the budget that little bit more. Keep it simple and keep it neutral. Using our rental decorating tips on a budget doesn’t mean your property has to be boring or sterile. The big question is what the best paint colour for rentals? The easy answer is using a single neutral colour scheme are throughout. This enables your tenants can apply their own touch which is helpful as they are the ones living in your rental property day in, day out. 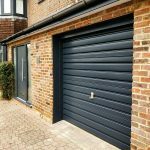 Your tenants will also find it’s a lot easier to transform a blank canvas into their home than converting a landlord’s home, and they will have that in the back of their mind when viewing your property. A visibly attractive and well-maintained property will demand a higher quality tenant, cost less to redecorate in the long-run and could achieve a higher premium rental income. 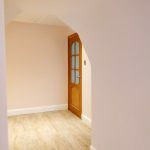 So, what colour paint for a rental property? The de facto standard is white ceilings, white woodwork, doors and trim and magnolia emulsion on the walls. This is no doubt a tried and tested colour scheme that hasn’t in the past alienated potential renters and is relatively easy to obtain off the shelf. However, recently there is a shifting trend of being a little more creative while still keeping the colour schemes neutral creams and beiges are more attractive for families and grey for professional singles and couples. Thankfully, off-whites, greys and beiges being more common when carrying out end of tenancy decorating and thankfully a welcome break from the regular and let’s be brutally honest ‘dull and boring magnolia’ walls. Once you have selected the neutral wall colour of your choice, use the same colour throughout your house, flat or apartment. Your rental property will have a consistent look, lighter on your pocket and easier to maintain when touching up scuffs, markings and damage to walls. This ‘golden rule’ has never been truer as a landlord. Every day your rental property is vacant, that’s yet another day you are losing money. So in order to get your end of tenancy decorating show on the road, roll up your sleeves, put on your old glad rags and be prepared for long days, late nights and lots of pizza deliveries to make your rental property stand out. Ensure you are prepared by ordering your paint, dust sheets, paint brushes and materials well in advance, ideally when you have carried out your final landlord inventory check and without delay commence work the day after your tenants leave. Being a landlord decorating during tenancy is inconvenient and loses you valuable time moving furniture, climbing over boxes and generally being a nuisance. If you do need to hire skilled labour for those tougher tasks, it’s important to book painters, decorators, builders, electricians and any other skilled trade well in advance. A good tradesperson or contractor will be in demand if they are good. Treating and painting over mould and mildew. Mould and mildew is a common problem in rental properties and usually found in rooms which attract a lot of moisture and condensation such as bathrooms, kitchens, cellars, laundry rooms and alike. 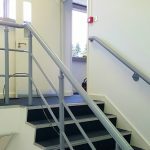 Not only is it really ugly and in extream cases unsafe, it is one of those things that will seriously put off a prospective tenant. Everyday activities in the home like cooking, washing and bathing cause moisture which is released into the air. Little or no ventilation is a recurring cause of moisture intensifying mould and mildew growth on walls, ceilings, windows and even soft furnishings like curtains and carpets. Moulds produce allergens (substances that can cause an allergic reaction), irritants and, sometimes, toxic substances. Inhaling or touching mould spores may cause an allergic reaction, such as sneezing, a runny nose, red eyes and skin rash. Moulds can also cause asthma attacks. Before painting over mould, you have to ensure the whole affected surface is clean, remove any loose material and make sure the surface is smooth and sound. You can use a household detergent such as a bleach spray or a more dedicated anti-fungicide cleaning solution which are easily available to purchase from your local DIY store or online. There are also specialist anti-mildew paints and paint additives available that prevent mould growth and resists moisture and steam. If the mould and mildew are too severe, still damp or beyond your skillset, we’d recommend you contact a specialist and get it checked out by a professional. Painting over water stains, blu tack/blue tack, nicotine and hard to remove scuffs. Water stains on ceilings leave ugly brown discolourations caused by roof or plumbing leaks. Before painting over water stains, you should immediately make sure the area is dry and ensure any leaks have been repaired. Painting water stained walls and ceilings require treating with stain-blocking paints as they are as stubborn as an ox and need to be repaired correctly. No matter how many coats of emulsion, or how many layers of wallpaper you put on, the stain will still return with stain blocking. Before commencing a repair to a water damaged ceiling or wall prior to painting, as we said, you will need to apply a stain blocker which will seal the surface and create a barrier between the water stain and the new emulsion paint. Stain block permanently prevents not only water stains reappearing but will also block out a multitude of stains commonly found in rental properties such as grease, nicotine, crayons and marker pen. Painting over and removing blu tack/blue tack marks from walls and hard to remove stubborn scuffs will also benefit from a lick of stain block before painting. 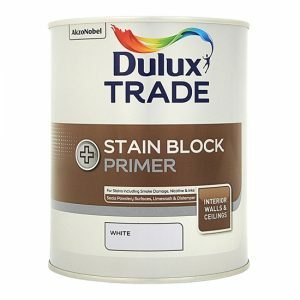 Stain block paint comes in traditional paint tins ideal for larger areas which can be applied by brush and also in spray cans which are convenient for smaller areas. Whether you spend £1000 or 99p, keep all your receipts. 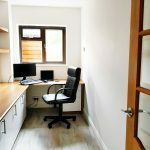 Not only will this benefit you and your relationship with the men in suits (tax man, letting agent and accountants) but you can prove when a property was redecorated and protect yourself in the unfortunate event of a tenancy deposit dispute. Be enthusiastic but don’t be stubborn about the taking on your end of tenancy painting and decorating. However, you have to be realistic. 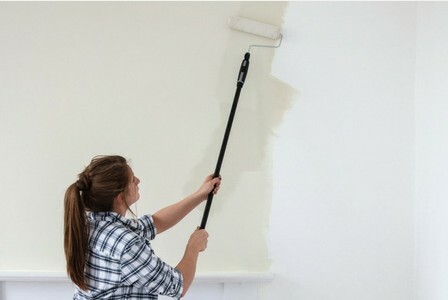 If you don’t know what end of a paintbrush to hold or don’t have the time to commit a week or more of long days and evenings then decorating an entire rental property might be a too bigger challenge and not to mention a costly exercise in term of time and loss of rental income. This is when it’s better to swallow your pride and get a qualified professional painter and decorator in to do the work. A professional will work quicker, use the best materials and generally give you a top-notch finish. 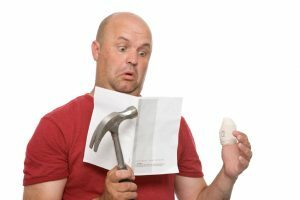 The last thing you want is to scare away potential tenants with a half-hearted DIY attempt, not to mention the additional time and cost to rectify your DIY disaster or corner cutting. Luckily in these instants, we offer fast turnaround end of tenancy painting and decorating packages aimed at private landlords, buy to let properties and letting agents. All responsibilities for repairs should be set out in the tenancy agreement. The tenant is responsible for keeping the interior of the property in a reasonable decorative order. A tenant is not usually responsible for the entire redecoration of a rental property but may have to make repairs outside of what is deemed outside of general wear and tear. Tenants should never redecorate themselves without obtaining written permission from the landlord in advance. Can a landlord charge a tenant for decorating? A tenants deposit may in some instants be used for the reasonable cost of repairing damages to the property. 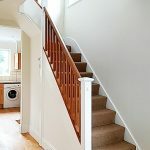 If the property was left in a good condition and for example, the walls only need to be painted the landlord cannot take the cost out of the deposit as it can be put down to fair wear and tear. A landlord can, however, charge for the repair of damage caused by a tenant such as holes in plaster or damaged paintwork caused by hanging pictures on a wall for example. Who is responsible for any damage to a rental property? The tenant is responsible for repairing and making good any damage to the property caused by the behaviour or negligence of the tenant, members of his family household or any other person lawfully visiting or living in the property. 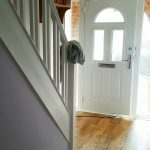 This means that prior to ending your tenancy you will be reasonably be expected to repair any damage yourself or hire a professional painter and decorator to repair and paint any damage caused before you leave. How often should the landlord paint or decorate a rental property? 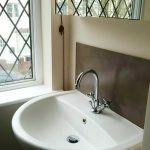 There is no concrete timescale when a landlord or agent should redecorate a rental property. However, many landlords choose to redecorate at the end of tenancies because it’s more convenient.As a rough guide, during longer rental agreements every 5 years would be deemed reasonable. It is in the long-term interest of the landlord to keep the property in good decorative order to protect their investment. A visibly attractive and well-maintained property will demand a higher quality tenant, cost less to redecorate in the long-run and could achieve a higher premium rental income. Are landlords responsible for mould in a rented property? Mould falls into the interior category and that means interior repairs are often left to the landlord’s discretion. Exceptions can be made when the interior of the property may be deemed dangerous to its inhabitants. Once a tenant has reported a mould problem, the landlord should organise an inspection and if necessary carry out any repairs they are responsible for. However, if the mould is caused by damp or water originating from outside or water leaks inside the property, any damage caused to the interior will also be a responsibility of the landlord. If you got any ideas, suggestions, questions or experience, please feel free to comment below. It’s good to share your own end of tenancy decorating tips for landlords. Dulux colour of the year for 2018 is revealed as….